While I would not call this the peachiest tea I have ever had, nor the most complex, it is one of those teas that is well suited for anyone from a person who has never had tea before to the most avid tea lover. You can get about three solid infusions out of one teaspoon which is nice. The peach flavor is very natural and no cloying sweeteners are added. The rose petals and rose hips make a pretty presence in this tea and make it lovely to look at. No, this is not a knock it out of the park flavored tea but I tell you what, the past several days I have not felt up to par and a lot of my favorite teas have not been settling well with me. I kept finding myself reaching for just two teas during this time. This is one of them. Its a solid peach flavored tea that is very natural in its flavoring and has just a tiny slightly bit of a floral flavor. 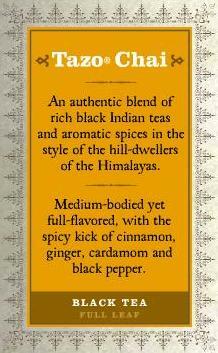 No flavor is fighting with any other to grandstand, yet meld wonderfully into one easy and mellow blend. This is for sure one of those teas to keep in your stash for company, for yourself, for people you want to introduce to a good tea, but not one that is terribly complex or overwhelming. Its great iced, cold steeped, hot, straight, with sweetener, even some milk or cream could be added, its just a stand up quality tea. I am calling it my “feel good” tea because when I am not up to par the last thing I feel like doing is studying flavor notes, aromas, and complexities in a tea. Granted I also don’t want something dull either. This tea from Teajo Tea was, and will in the future, be my go to cup for when I am feeling less than stellar. And you know what? I am feeling fine today and still enjoying a cup of this Juicy Peach tea from Teajo Teas!